Reidy custom made Furniture is a family run business founded in 1999 .We Design and manufacture high quality furniture to the customers specifications . We specialise in in custom made furniture with particular emphasis on what the client wants rather than just what we manufacture . Our approach to design and creating kitchens is personal and innovative so it is natural for us to carry this philosophy into all the services we offer . We are a design led business, focusing on the private homes of the home owner. Most of our clients are people who are either building their own houses or building onto their existing homes. They are looking for ideas, good design choices and helping hand through what can be a frustrating process, trying to bring all the trades and wish lists of all the people involved in a build project together to a satisfactory conclusion. We all have an image of our dream kitchen: traditional, contemporary or something exclusively unique, bespoke and custom-made to your precise requirements. 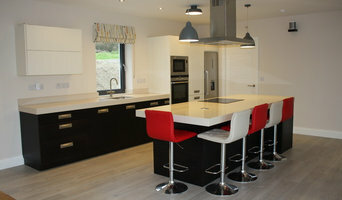 At Callan Kitchens, whatever you imagine, we can make it a reality. Established for over 19 years, we take sincere sense of pride in every kitchen we create. So from the beginning, we get closely involved, carefully selecting the materials and assisting you in every way we can from start to finish. 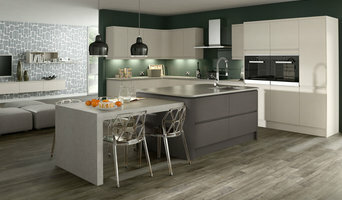 We take the time to visit your home, design your kitchen, fine tune the design, so that you receive a kitchen unique to your specification and style. At Callan Kitchens, you’ll find an exceptional choice of materials and styles to choose from. You’ll never have to compromise when it comes to satisfying your own individual tastes. Why should I hire a Cork cabinet maker? Cabinet makers are skilled craftsmen who can design, make, rework and repair cabinets and cupboards. They can create bespoke storage or kitchen units for your home that meet your needs and fit with your interiors. They can also advise you on materials and cabinetry styles if you’re not completely sure on the design yet. With the right bespoke cabinet makers in Cork, no cabinetry job is too difficult, so even if you have a tricky corner space that you want to utilise, a Cork cabinet maker can create a cupboard to your specifications. Bespoke cabinet makers are more than just bathroom or kitchen cabinet manufacturers and they can be commissioned to create storage cabinetry around the home. Bespoke TV cabinets are in popular demand due to the variations of TVs, consoles, digital TV boxes, DVD players and other items that we want to keep near to our televisions. Skilled cabinet makers in Cork can create a one-of-a-kind TV cabinet or media centre to house all your entertainment goodies. If you already have cabinets or cupboards that you’d like to keep, but they’re just in dire need of a facelift, then bespoke cabinet makers may be able to help, too. You may wish to replace kitchen cabinet doors, give your cupboards a new colour, add decorative elements or use a special finish; whatever the cabinetry task, ask cabinet makers in Cork if they can help you. If you need the help of a cabinetry professional when renovating a home, make sure they are happy to work with any other professionals working on the project. Here are some related professionals and vendors to complement the work of cabinet makers: Kitchen & Bathroom Designers, Kitchen & Bathroom Fitters, Interior Designers, Home Storage Designers & Professional Organisers, Carpenters & Joiners. How long have you been cabinet makers in Cork? Find a cabinet maker on Houzz. 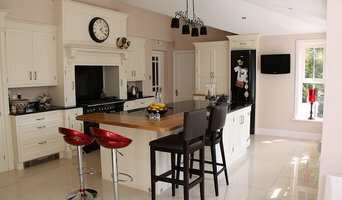 Narrow your search in the Professionals section of the website to Cork bespoke cabinet makers and cabinetry. You may also look through Cork photos to find examples of cabinets that you like, then contact the cabinet makers in Cork who worked on them.